Psychological perspectives on drivers and driving have been with us for since before the advent of mass motoring. The car’s unique potential to afford freedom and compromise safety has been a focus of formal psychological study for almost as long. This has resulted in a canon of excellent research, the shaping of interventions and legislation, and the saving and enhancement of lives. In seeking to prevent collisions, it has had quite an impact! 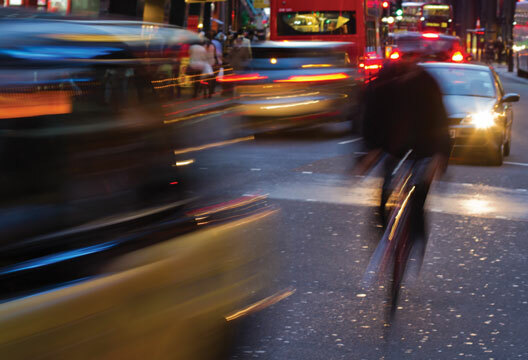 This collection of articles looks at a range of topics, including the use of neuroergonomics to improve driver safety warnings; the particular psychological issues with both younger and older drivers; how we can protect vulnerable road users such as cyclists and pedestrians; and the psychology of sustainable transport. Mass motoring is arguably one of the crowning achievements of the 20th century. Never have so many been able to move so rapidly towards destinations particular to their wants or needs. In 1903 the Motor Act resulted in the licensing of UK drivers and vehicles for the first time. At the time, Gazeley & Newell (2007) report that some 75 per cent of workers earned between £1 and £2 per week. Licensing a vehicle cost £1, a driver’s licence a quarter of this. Initial licensing of approximately 5000 licensed drivers, suggests that considerably less than 0.5 per cent of the adult population could drive. Now the UK has about 34 million licensed drivers among a population of 62 million. Of this 62 million about 25 per cent are too young to be legally licensed. In just over a century, then, driving has gone from a very unusual activity, performed by the few, to one in which 75 per cent of UK adults engage. Although there are no statistics to support the claim, it seems reasonable to assume that a century ago, when the age of legal licensing was also 17, there were few if any drivers younger than 20 years of age, and none in their eighties or older. At present, the UK has about 750,000 licensed teenage drivers, and 3,500,000 aged 70 years and over. When the distance motorists in these age groups drive is taken into account, the risk of death and serious injury both to themselves and other road users is far higher than for motorists in any other age group, and is remarkably similar in both the younger and older groups. Because of this, discussions regarding driver training, restrictions on driving, and driver assessment are not only recurring themes in driver behaviour research, but of immense societal importance. The environmental impact of so many vehicles being driven and the need to re-balance the health impacts of the remarkable mobility and freedom the car has provided us with is a far newer, but no less important concern for researchers and policy makers. Psychologists make a vital and highly valued contribution to these debates. However, driving research can also be of far more importance to our discipline beyond providing yet more evidence of the practical importance of psychology and its relevance to society. Several examples of the range of applications of psychological knowledge are provided in the articles that follow. Frank McKenna provides an excellent overview of what has long been termed the ‘young driver problem’, and I am glad the area has begun to shed the shackles of needing to problematise and stigmatise. At the other end of the age continuum, Pat McKenna reflects on a career involvement with the clinical assessment of fitness to drive. Both McKennas, unrelated incidentally, have done more than any other psychologists to shape the way Britain assesses younger and older drivers. Charles Spence’s focus is on how an understanding of the neuroscience underpinning the quintessentially inter-sensory driving task can affect vehicle design, and the infrastructural context in which the task is performed. The social context of the driving task, or more particularly how the different vulnerabilities of traffic participants shape, or should shape, our behaviour is the focus of the interview with Ian Walker. Finally, the perspective widens still further with Brigitta Gatersleben’s contribution, which focuses on the challenges and potential benefits of having us use our cars less. The span of these contributions illustrates some of the diverse ways in which psychologists have studied transportation, focusing on perception, action, cognition, neuroscience, identity, social interaction, development, and disability. Other issues investigated by psychologists, though not represented in the articles that follow, include the problems posed when driving interacts with trauma, personality, fatigue, sleep loss, alcohol, and licit and illicit drug use. Psychologists have also made substantial contributions to understanding and addressing the challenges that are part and parcel of other modes of transport, including train driving and railway operation, shipping, aviation, and indeed space flight. Some have argued that such breadth is best recognised by identifying ‘traffic psychology’ or ‘traffic and transportation psychology’ as distinct areas of psychology. As someone who co-founded the International Association of Applied Psychology’s Division of Traffic and Transportation Psychology (see www.iaapsy.org/division13) and the primary peer-reviewed journal in the area, Transportation Research: Traffic Psychology & Behaviour, it might seem that I am a fervent advocate of this. In fact, I am not. For me, the purposes of labels for areas of application are purely promotional, to provide a focal point around which disparate activity can be coalesced and to recognise a sustained body of contributions in order, as it were, to stake psychology’s claim. The particular admixture of aspects of psychology that have been found to be useful may be different for driving. However, in my view no unique theory or method has developed from within this particular focus of the application of psychology, and without this the claim to subdisciplinary status, is weak. Traffic psychology is not alone in this. Psychology’s contribution to the area is a canon of excellent research, a unique perspective on the problems and potential solutions, a sustained influence on the design of associated products and interventions and as well as the shaping of legislative and societal frameworks. Thankfully, traffic psychology is not unique in this respect either!Back where this article began, in 1903 the speed limit in built-up areas was 14mph, although it increased a few years later to 20mph, and the range of most vehicles would have restricted them to relatively short trips. As a species, before 1900, humans had no opportunity to control self-motion beyond a few miles per hour; nowadays being able to do so at a rate 10 times higher is a daily requirement for the vast majority of adults. The range of decision making required, the immediacy of the action driving demands, together with the continuous multitasking that is inherent to the task, make driving among the most complex and dangerous activities we perform. Understanding the psychological underpinning of the driving task constitutes a profound theoretical challenge for psychology (Groeger, 2000). Motoring has, since it began, been viewed with a mixture of suspicion, fear, excitement and promise, as the following quote from a German text early in the last century shows: 'The fights with his machine often lead a motorist to bitter anger and sorrow. But the good side is that this creates precious qualities like patience, skill, inventiveness and courage. Our motorist will therefore accept all adversities of the road without despair but with laughter: for the automobile bestows strength of will.' (in Allgemeines über den Automobilismus, Stein der Weisen, XXVII, 1901, cited by Möser, 2003). As the anger and irritation evident during any snails-paced trip through congested rush-hour traffic will readily confirm, it is far from clear that driving has delivered the bonanza for the character of humanity that this quote anticipated. What it has done, however, is to provide yet another example of the remarkable adaptability of our species. The tragedy and trauma associated with mass motoring can sometimes make driving seem among the more regrettable developments over the last century, but we need to set against the almost inestimable contribution mass motoring has made to wealth creation, independent mobility and personal freedom. I also wonder whether the cognitive skills we have developed and honed in order to meet the previously unknown challenges driving has posed for us has benefited us in other areas of human endeavour. Groeger, J.A. (2000). Understanding driving: Applying cognitive psychology to a complex everyday task. Hove: Psychology Press. Möser, K. (2003). The dark side of ‘automobilism’, 1900–30. Journal of Transport History, 24(2), 238–258.